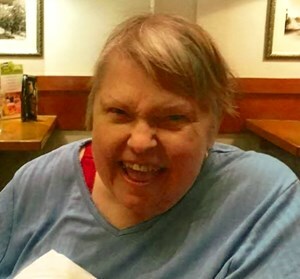 Newcomer Family Obituaries - Barbara Ann Pade 1948 - 2019 - Newcomer Cremations, Funerals & Receptions. Barbara Ann Pade, age 70 of Huber Heights, passed away February 2, 2019. She was born August 31, 1948 in Portland, Maine. Barbara is survived by her husband, Gary Pade. Barbara was a graduate of Gordon College in Boston. She was a member of the Dayton and Springfield Philharmonics, under conductors Neal Gittleman and Basil Fett. She was active in many church choirs throughout the region, including the Messiah Community Choir, which was always held during the first weekend in December every year. Barbara was blessed with three guide dogs for the blind from San Rafael, CA: Nappie aka Lover Boy, Charlie Checker and Kobe Bryant. A gathering of family and friends will take place at 10:00 am on Saturday, February 16, 2019 at Sulphur Grove United Methodist Church, 7505 Taylorsville Road, Huber Heights, followed by a memorial service at 11:00 am. Arrangements entrusted to Newcomer North Chapel, 4104 Needmore Road. To share a memory of Barbara or leave a special message for her family, please click the Share Memories button above. Add your memories to the guest book of Barbara Pade. My deepest sympathies go to Mr. Pade and family. Mrs. Pade was always such a sweet person. I had the pleasure of working with two of her dogs; Charlie Checker and Kobe Bryant. They were such wonderful dogs and it was obvious how much Mr. and Mrs. Pade loved them. I remember the story of how her beautiful singing came about. Mr. Pade had told me the story so eloquently and I will never forget. Please accept my condolences.